Can you believe it's that time of year again...? 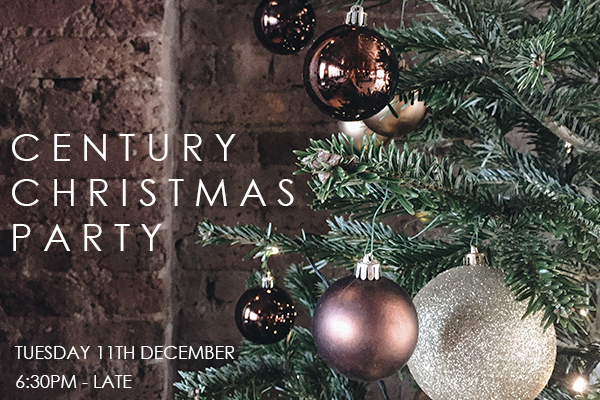 Join us for our Century Christmas party on the roof with warming mulled wine and mince pies from 6:30pm. With the Century Jazz band accompanying the evening in style, some Christmas songs thrown in for good measure and DJ tunes until late, we can promise you a merry old time! See you on the 11th December.